You can customize your health care directives to fit your situation and wishes by creating the appropriate document. A living will directs your medical care when you become incapacitated and can be as specific as you want to make it. Your living will is a list of instructions for your physicians; it typically does not give any decision-making authority to your family. While a living will may direct your physicians not to resuscitate you under certain conditions, a living will itself is not necessarily a Do Not Resuscitate (DNR) order. If you want a family member to make your medical decisions for you when you are unable to do so, you can create a health care power of attorney to give someone that decision-making authority. Unlike a living will, a health care power of attorney provides few specific directions; instead, it simply gives decision-making power to someone else. When it comes time to make decisions about your medical care, your physicians need consent before they can treat you. While you are mentally capable of making your own decisions, you provide the required consent, but physicians must look to other sources when you are incapacitated. 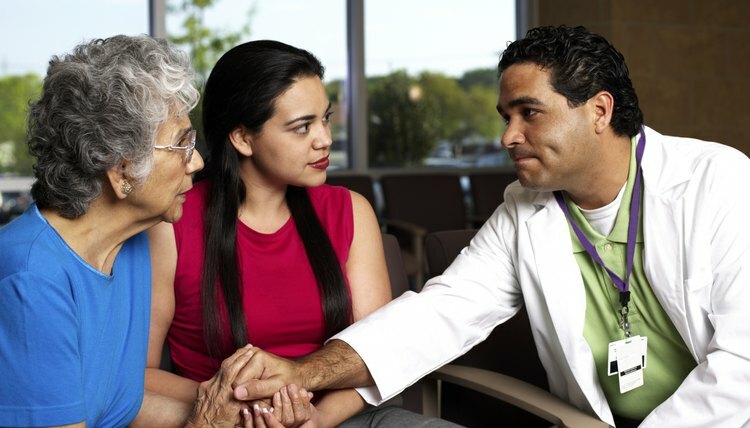 If your living will provides instructions for the situation at hand, your physicians must look to that document since it acts as consent given in advance. If your medical situation falls outside the scope of your living will, your physicians may look to the agent you named in your health care power of attorney or, if you did not name an agent, to your next of kin to give consent on your behalf. For example, your living will may not address a situation where you are in a coma and need a lifesaving surgery. Thus, your doctors must receive consent from somewhere else. Though your caregivers are supposed to honor living wills, they may choose not to if your family objects strenuously enough. Practically speaking, your physicians may not want to terminate your life-sustaining care, like artificial respiration or nutrition, if they are concerned that your family might pursue a lawsuit or other court action. Since the decision to take away your life support becomes irreversible once you pass away, your physicians will likely take steps to ensure they are making the best decisions possible before removing support. However, depending on the circumstances, if your physician fails to follow your living will, he may face lawsuits from you or your family and ethical complaints. Depending on your state’s laws, he may even face criminal penalties. Your living will is not permanent since you can change it at any time as long as you have the mental capacity to do so. For example, if you created a living will that says you want certain treatments but you later decide, while you are competent, that you do not want those treatments, you can simply change your living will and provide copies to your physicians. Alternatively, you can create a new living will and the new document automatically replaces the old one. You may also want to provide copies to your family so they have an idea of your wishes. You can also revoke your living will by destroying it or signing a revocation document. Oregon State Bar: What Is a Living Will? A living will provides you with the freedom to determine how medical decisions should be made in the event you become unable or unwilling to make them for yourself. The document also allows you to appoint a health care representative to act on your behalf to carry out these wishes. Although state laws can vary, living wills generally do not expire while you are alive, absent special circumstances or your express intent.